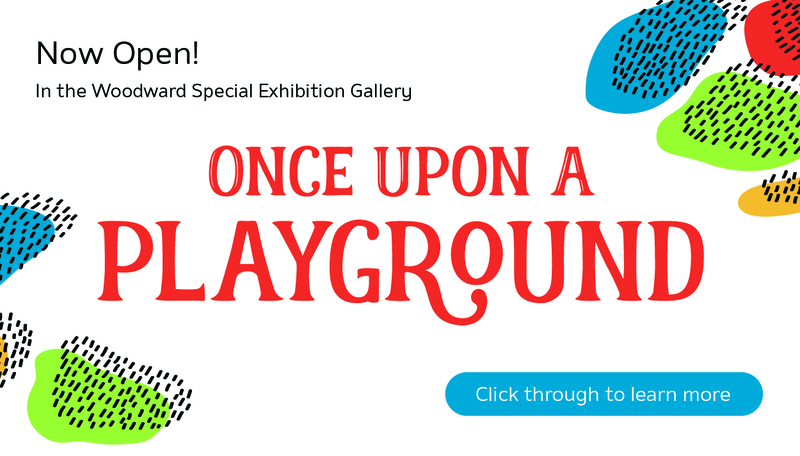 Post written by Alex Ballou, Marketing & Design Assistant. Quinn, this blog post is for you! That’s the last (plastic) straw! As an article in The Coloradoan illustrated, Fort Collins restaurants are joining a national movement to replace plastic straws with paper straws. Some restaurants are getting rid of single-use plastic all together. Others are no longer carrying straws or offering them unless requested. 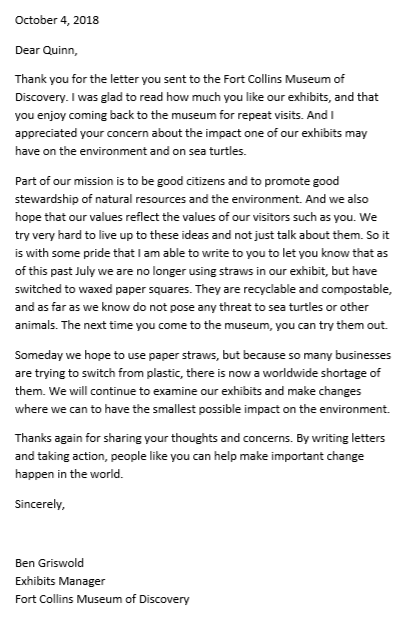 The Museum Café recently swapped out plastic straws in favor of biodegradable ones, expanding their list of compostable items to include plates, cups, and silverwares as paper products. Plastic straws do not decompose in landfills, and they are likely to end up in the rivers and contribute to the environmental problem on beaches and in the oceans. In an effort to address this issue, many Fort Collins restaurants and companies are ditching the plastic straw. 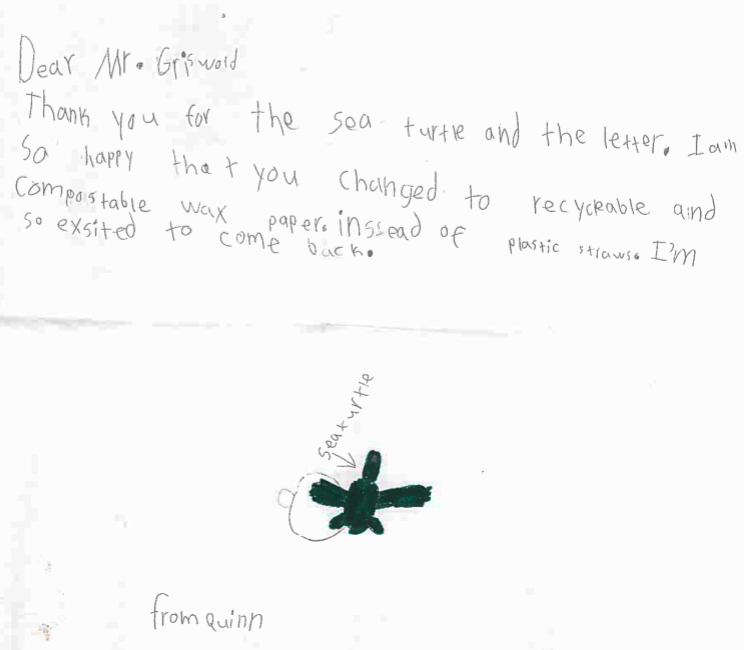 Our exhibits manager, Ben Griswold, had the honor of responding to Quinn. The vision of the museum is to inspire inquisitive thinkers and encourage responsible stewardship of the future. Quinn shared his thoughts with us and we wanted to take them very seriously. Quinn has – and will continue to – make a difference in the world. 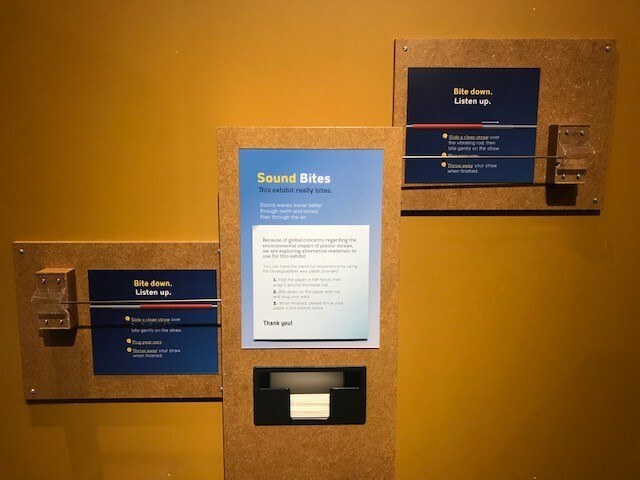 Closer to home, the museum’s exhibit “Sound Bites” is now working with wax paper instead of plastic straws to make “green” exhibits the norm. So where do the compostable straws end up? Biodegradable waste generates several tons of compost that can be used as a soil amendment in gardens and elsewhere. 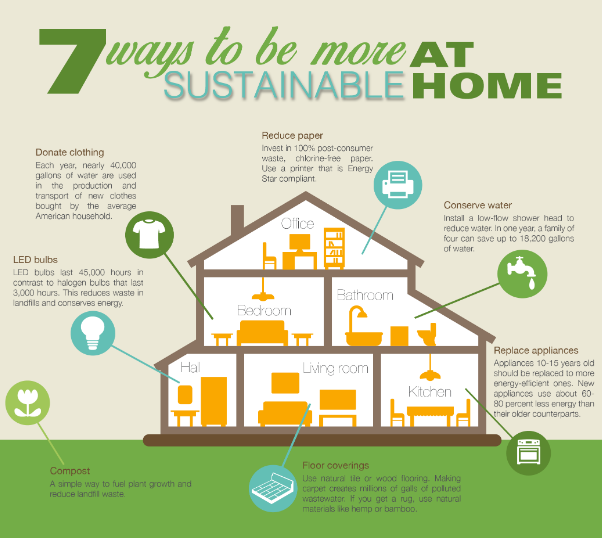 Will you join Quinn and the museum as we strive to be sustainable? 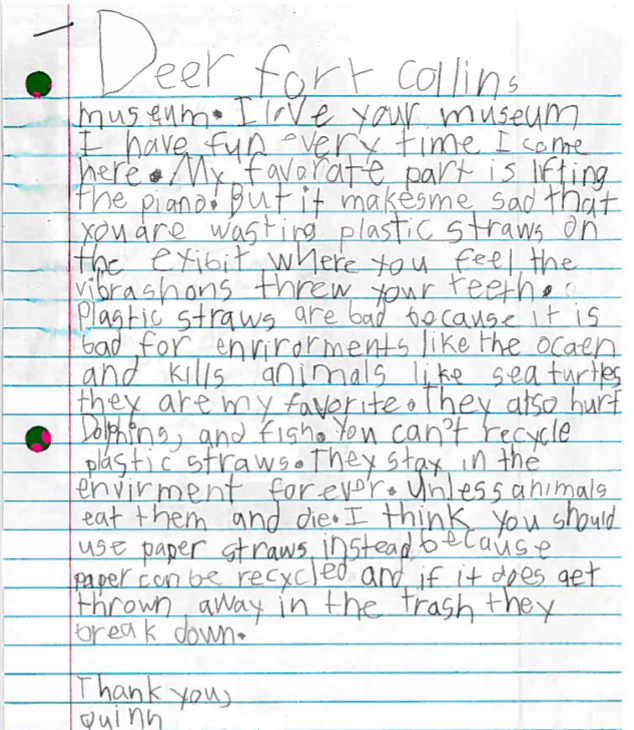 Sustainability is a core value at Fort Collins Museum of Discovery. Throughout the museum, we talk about stewardship – of self, community, and environment; how our small actions impact the world around us in ways both large and small.